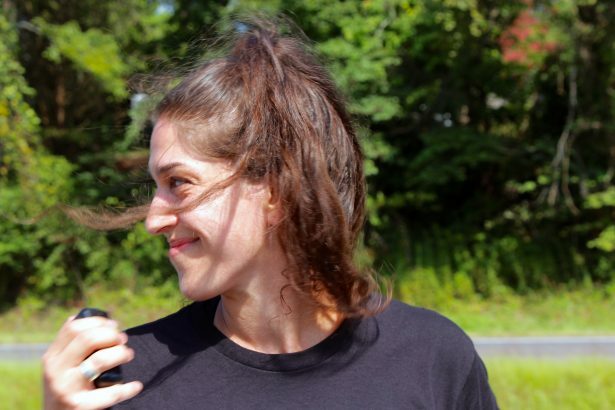 Cheers and calls of affirmation come in response, filling James Madison Highway with sounds of joy in addition to the whirring of cars and overall quiet of Madison County. The group erupts in cheers once more as they march forward, one sore foot after another, enduring sunburn, blisters and hate speech from cars passing by, but this highway-parading family–none of whom are actually related–continue without complaint. To them, these inconveniences are just side effects to marching on the road to equality. 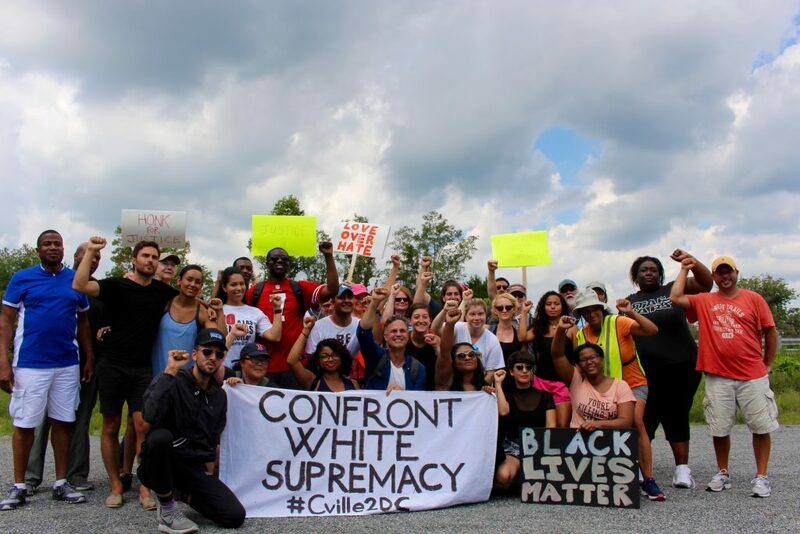 Starting last Monday, people from multiple states began walking from Charlottesville, VA to Washington, D.C. over a period of 10 days to protest white supremacy. The group has managed to walk an average of 12 miles per day on their 100 mile journey, which will end tomorrow. 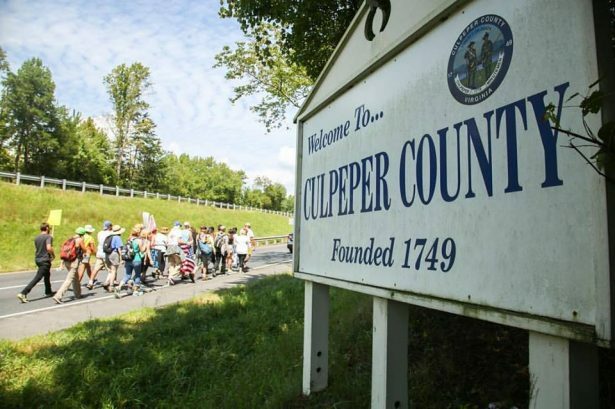 On Thursday, August 31, RVA Mag joined the group, completing 18 miles of the march through Madison and Culpeper Counties. In the first part of the day, actor and activist Mark Ruffalo, known for his role as Bruce Banner (The Hulk) in the Marvel Comics movie series, made a special appearance in Madison, VA, developing a few blisters of his own. 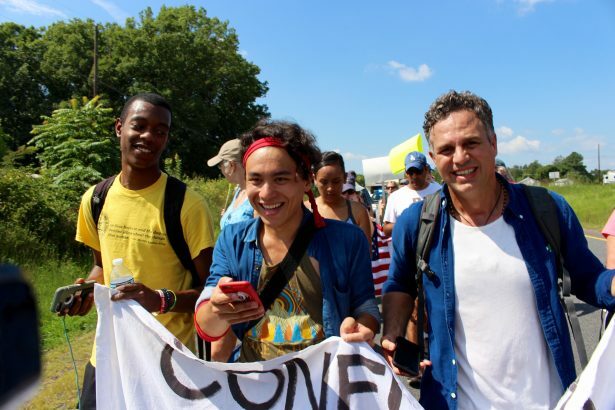 “This is a way for us to show it with our bodies, a symbol of our sacrifice, our time; take the time to come here and travel here and put our bodies in the sun over miles and miles to confront hate,” said Ruffalo. Ruffalo also encouraged people who could not physically march to spread the word through social media, get active with local groups, and donate money to groups who are fighting to sustain the Deferred Action for Childhood Arrivals act (DACA). Starting at about 9:30 a.m., the group’s spirit was high as they listed off their community agreements in a parking lot of McDonald’s in Madison County. A list of ten rules, set by one of the organizers, set the standard for conduct while marching. “We want to center [ourselves] every morning, every day, to remind us not only of why we’re here in ideology and why we’re going to the White House, but also why we’re here together as this group and why we congregate,” said Stephanie Martin Llanes, a young woman from San Juan, Puerto Rico, who works in New York City as a movement lawyer at Center for Constitutional Rights. 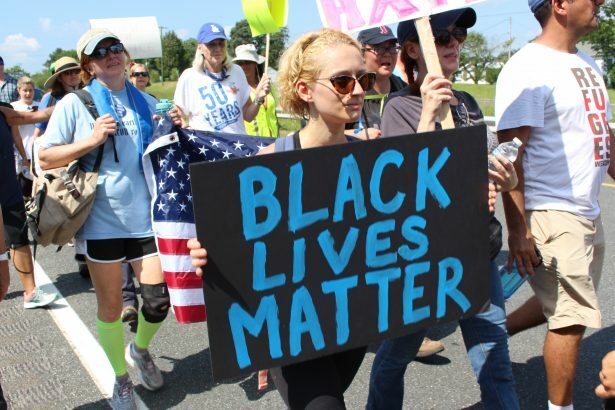 “The very first one is that ‘Black Lives Matter,’ because that’s really centering for us and informs the work we’re trying to do here, and it comes full circle by the end, by saying we want an end to white supremacy.” This list also includes a sobriety agreement, and encourages the respect and safety of each other while walking down the highway. The group walks about three or four miles before taking 15-minute rests, and then pausing for an hour lunch break. So far, they have experienced sweltering heat and pouring rain, with Thursday being one of the hottest days they have experienced so far. 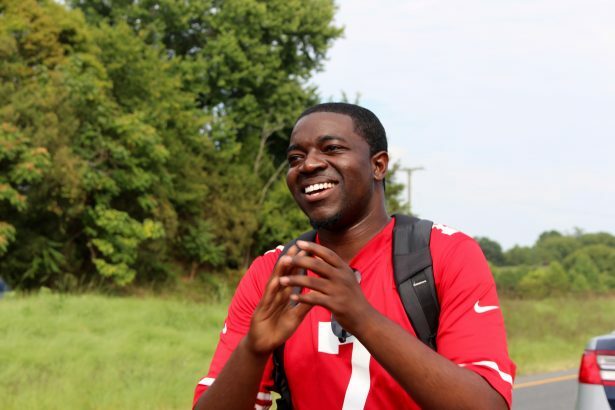 Each day includes a different number of people, as some marchers come and go, but on average 30 people have been walking down the highways of Virginia, accompanied by at least 15 police officers who trail the group in squad cars and motorcycles. 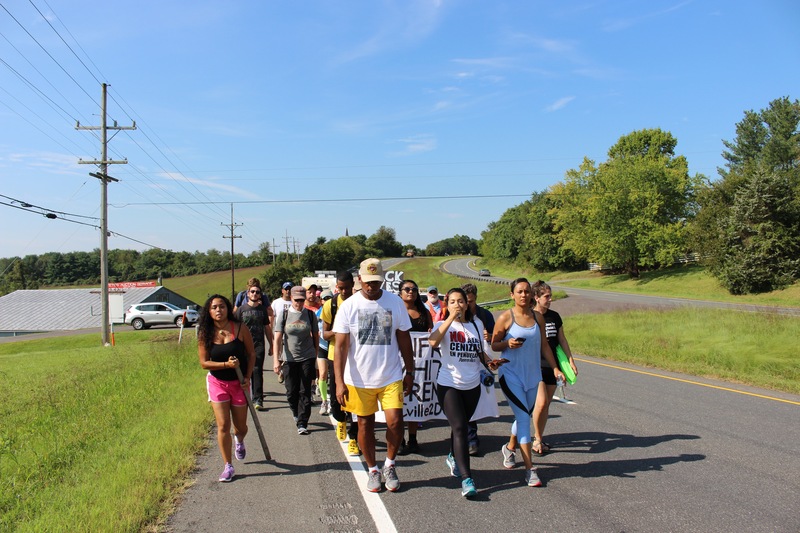 Marchers Entering Culpepper County. Photo: David Moriya. It’s hard to imagine a group like this, walking through such a rural part of the country, making much of an impact. Over 60 percent of the people living in these counties voted for Trump, and the group had to end their Wednesday journey early due to a gun threat from an armed individual. Fortunately, the majority of feedback from passersby on Thursday was positive. Truckers honked their approval, while making peace signs, and local residents passed out apples and water along the route. However, it was the leadership and encouragement from Stephanie Llanes, who acted as the chant leader on the march, which kept spirits of the marchers high. Of all the things that changed throughout the day–the temperature, incline in the roads, number of blisters–Stephanie’s smile and enthusiasm was a constant. Her chants and songs motivated the marchers to finish that next mile. Many of the marchers came to protest President Trump’s decision to remove the Deferred Action for Childhood Arrivals act (DACA). This policy was implemented during the Obama administration for undocumented immigrants who entered the country as minors to ensure a waiting period of two years before threat of deportation, as well as eligibility for a work permit. Many white allies were present as well, including a 63-year-old woman from Charlottesville and a woman who flew in from Tulsa, OK.
Another of these women is Ayelet Wachs-Cashman, a 26-year-old from New York who was the only marcher representing the Jewish community and If Not Now, a Jewish activist organization. Wachs-Cashman is marching the full length of the journey, and although this is her first time participating in a protest like this, she dutifully ensured everyone was staying safely to the right of the road and occasionally took over the megaphone. Toward the end of our day, a group of Trump supporters could be seen in the distance. Their confederate flags and Trump-Pence yard signs made them unmistakable, and they had hung a poster on a street sign reading, “Go home, Get a life, Get a job.” But instead of inspiring fear, these signs only caused the group to sing louder and chant more passionately. Rev. Stephen Green, Senior Pastor of Heard AME Church in Roselle, New Jersey, was one of the marchers standing on the front line, facing these onlookers without so much as a flinch. 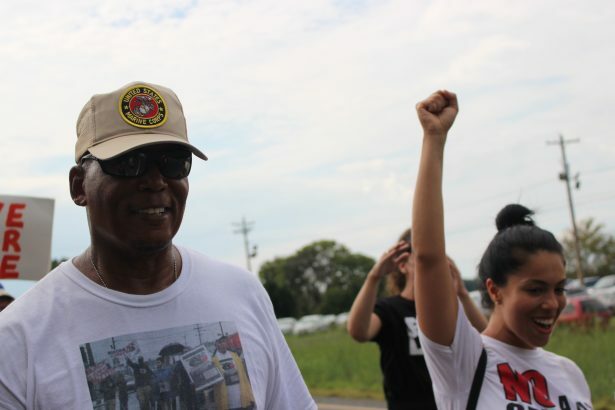 “Here we are in a moment of sacrifice and a moment of spiritual depth,” said Green, who spent a greater part of the afternoon dancing down the highway to songs like “Freedom for the People,” written by one of the fellow marchers. By the time the group had reached the end of the spectators’ property, some marchers looked back to see that some of these Trump supporters had separated themselves from the others, and were walking toward the group. However, they didn’t yell or threaten. They simply waved. Walking 100 miles might not change the world, or even the country, but it did bring a group of people together and made them a family for a brief time. Day by day, county by county, that family continues to grow on the road to Washington D.C.